Sharpening jointer knives by hand is a bit easy when it is done by some machine or a planer/jointer knives grinding jig. As the steel of the jointer or planer blades is too hard, it becomes quite tough and time-consuming. In the past, many people put efforts to resharpening such knives on the stone by hand and also got positive results, but when there is too much material on the blades which has to be removed, then such stones are not at all preferable as they take a reasonable amount of time. In this article, I am going to show you some useful ways to sharpen planer blades. 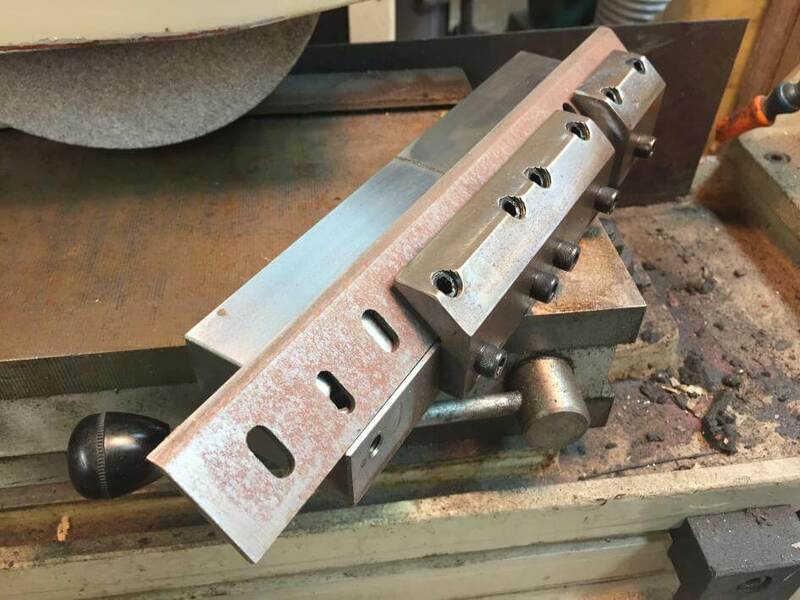 There are many ideas available for using a high-speed grinder or sharpening jigs. Also, we can use grit papers to sharpen the knives. 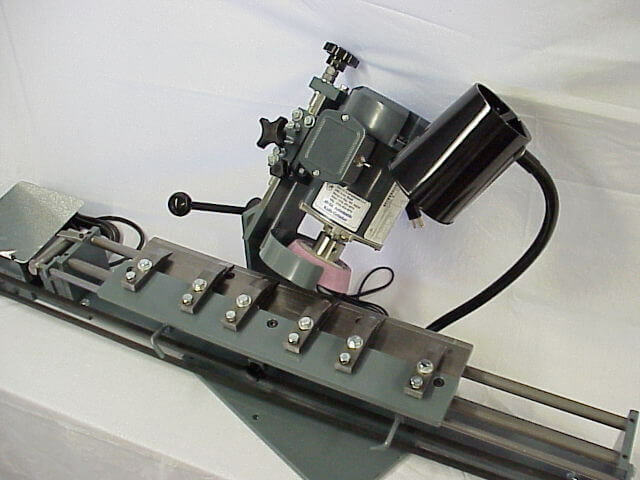 Let’s start with the hand sharpening machine tools as we can get them quickly and they are fast, accurate, and save a lot of time. 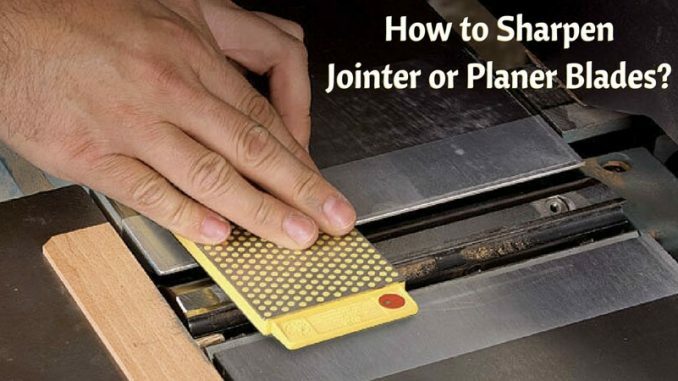 How to Sharpen Jointer Blades? The stone does not remove much material from the overall knife, so always try to focus on the edges of the blade to remove the excess material to sharpen the cutting edge. The very first step is to decide the angle where exactly you want to sharpen the blade. This thing will help you in determining how much material should be cut from the knife. So, set the direction of cut in the jointer and reduce angle from the tip of the blade. This step is essential. Before sharpening the edge, you have to be sure about the blade’s straightness. Take the help of some incredibly flat surface or the jointer table and put the knife on it, horizontally. Hold it from the other edge and throw some light from any of a direction. If you don’t have any flat surface in your house, you can even use some aluminium extrusions as they are remarkably straight most of the time. Take out your grinder and wet the stone of it. Then put the planer blades to sharpening them from both of the sides. You have to take care of your hands and keep them far from the grinding stone, as well as the sharp edge of the blade or else you may get some injuries. Go in one direction. You can repeat the process as per the need of the jointer/planer blade. If possible, take out some good quality of water stone or the Japanese stone which can help you to take the burr off from the blades. Pour some water on the stone and start scratching the edge on that stone and observe whether it can clean the burrs or not! 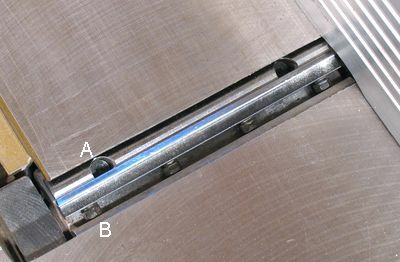 Again take the help of some straight surface or aluminium extrusions to know whether the blade is straight now or not! If yes, then you are good to go further. But if no, then you have to grind the rough side again with the grinder again. After all these steps, you can rejoin the blades and test whether you can get the desired results of your log piece/benchtop or not! I am sure you will be glad to know that this method works so well, with the minimum cost and minimal effort. I hope you have found the solutions to your confusion reading this article. For more updates regarding jointers, planers, or blades, kindly stay tuned.